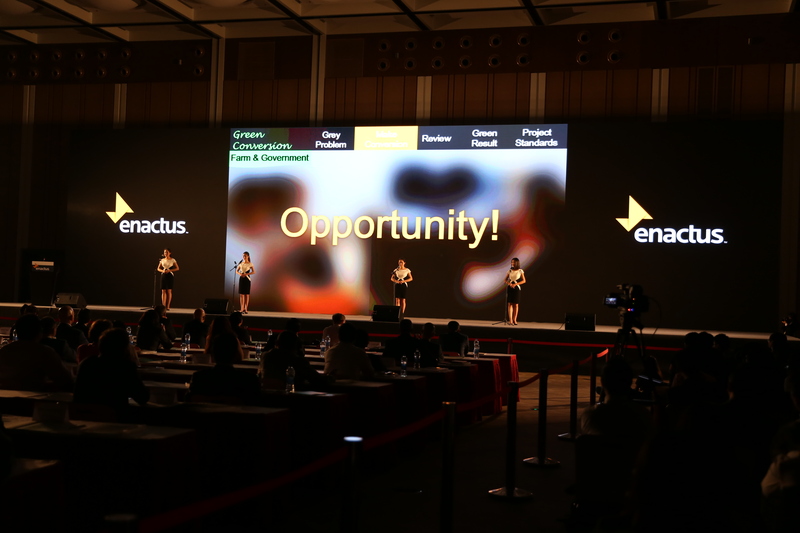 The road to Johannesburg has been a busy one for our teams in Enactus China. 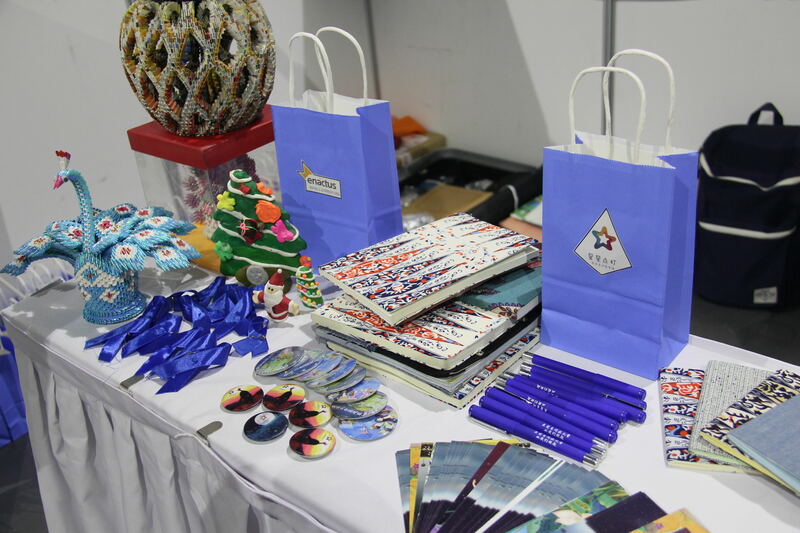 After a series of seven regional competitions, the best of the best met at the Shanghai Convention & Exhibition Center of International Sourcing on 25 and 26 May for a jam-packed event, generously sponsored by ADM, Chow Tai Fook, NU SKIN and PepsiCo. While the end result was selecting a National Champion, the event offered the more than 2,700 attendees much more than that. 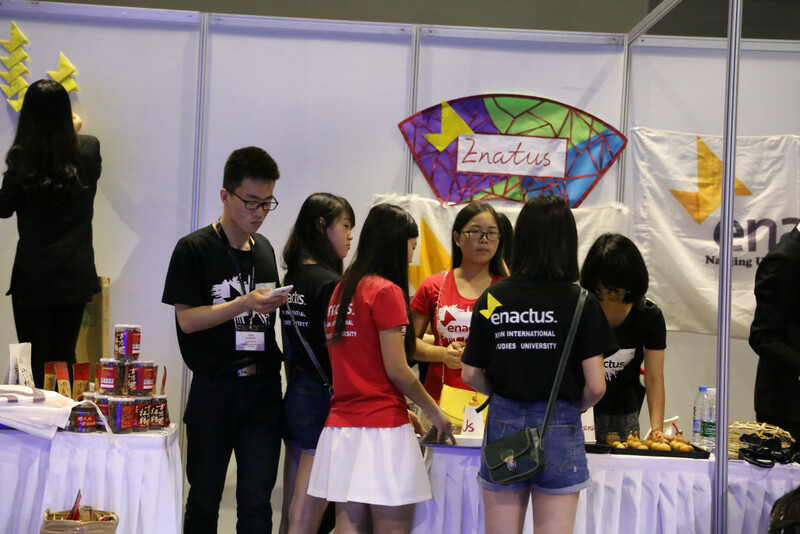 Day one began with the Youth in Social Innovation Fair where 48 Enactus teams put together a booth to showcase their innovative ideas and projects. 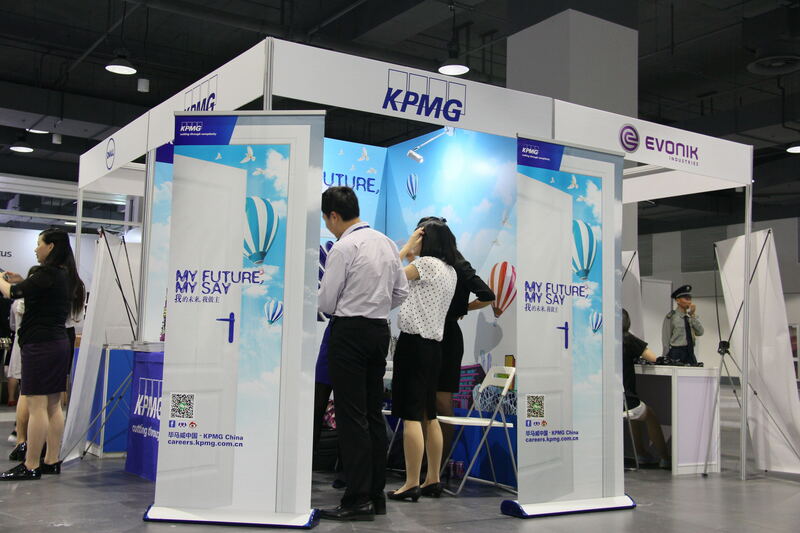 At the same time, 28 sponsor companies participated in the Career Fair, providing them a unique connection point with students while promoting their business, culture and career opportunities. 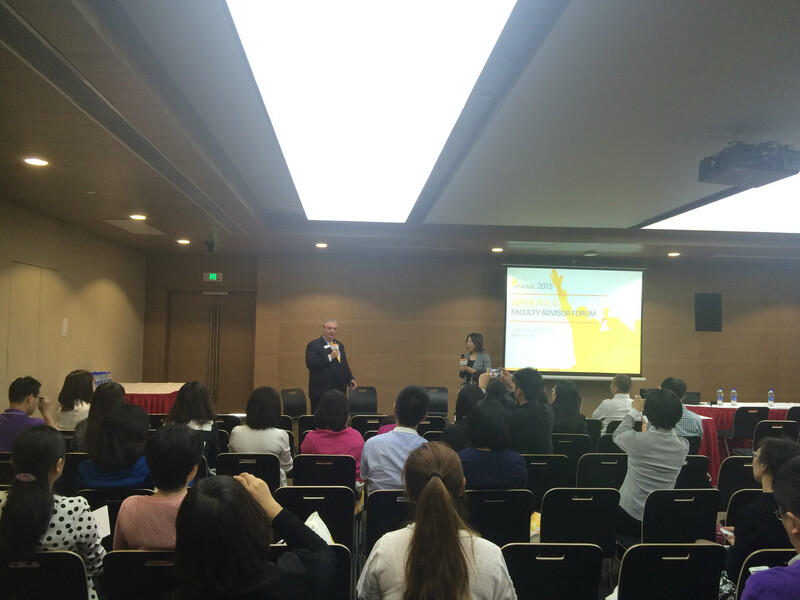 An integral component of the Enactus network, faculty advisors were celebrated during the Faculty Advisor Forum, where Enactus Worldwide CEO Alvin Rohrs and Enactus China Chairman and President Norwell Coquillard welcomed faculty to the event, thanked them for their service, and discussed trends and issues. After the Opening Ceremonies, the competition kicked off with 88 teams in 18 leagues presenting the results of more than 100 entrepreneurial initiatives addressing issues in agriculture, education, environment, culture heritage and small business empowerment. The opening round was judged by 136 business leaders, who selected the top team from each league to move forward in hopes of making it to the main stage the following afternoon. 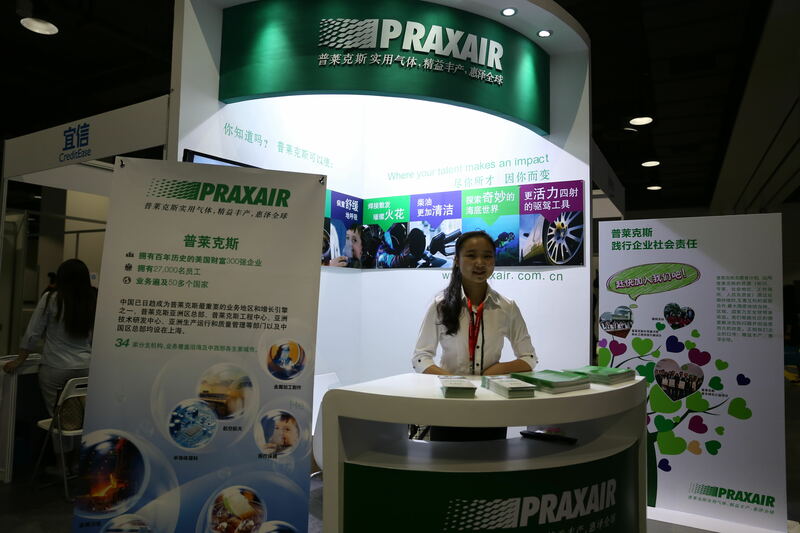 In addition to the semi-final competition, day two of the event also included an Innovation Forum, where entrepreneurs from a variety of industries shared their thoughts on the topics of Industry 4.0, internet finance and creative confidence. 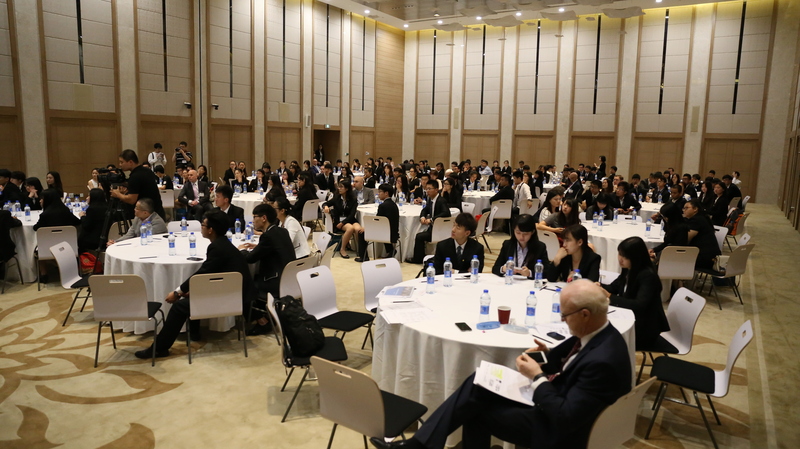 The Top to Future Top Forum came next, which involved an impressive panel of executives discussing recruitment and employment issues, followed by a direct and interactive discussion with students. 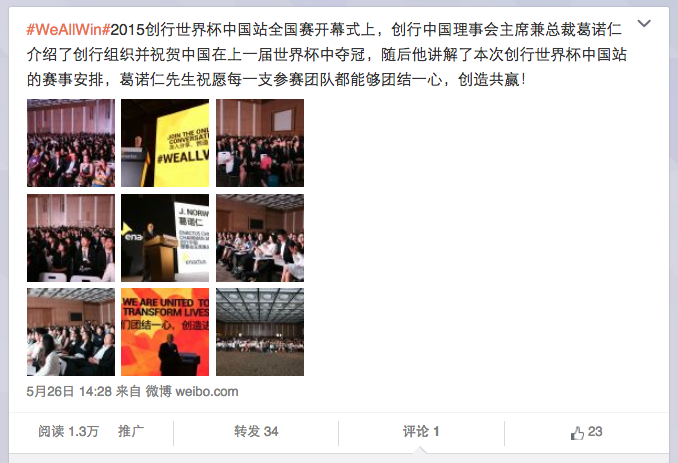 Finally it was time to find out who would be defending Enactus China’s World Cup Champion title. 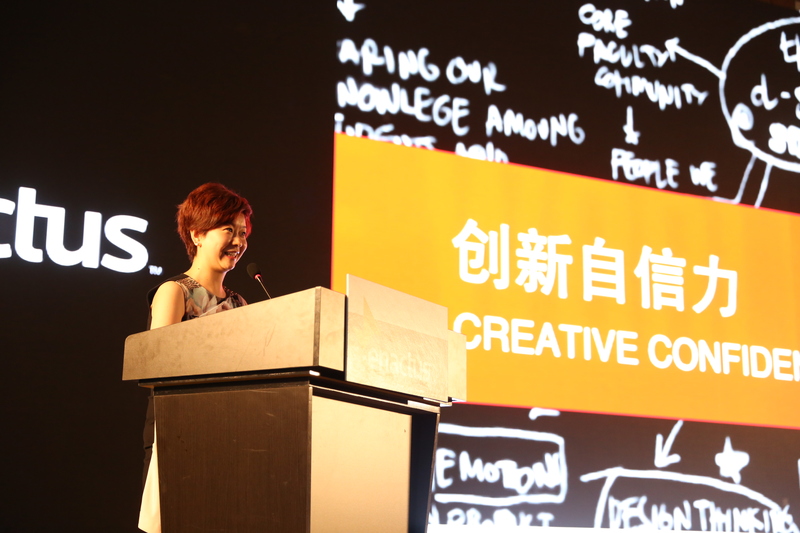 The final four teams were announced and took to the stage, presenting to an impressive judging panel of 73 executives. 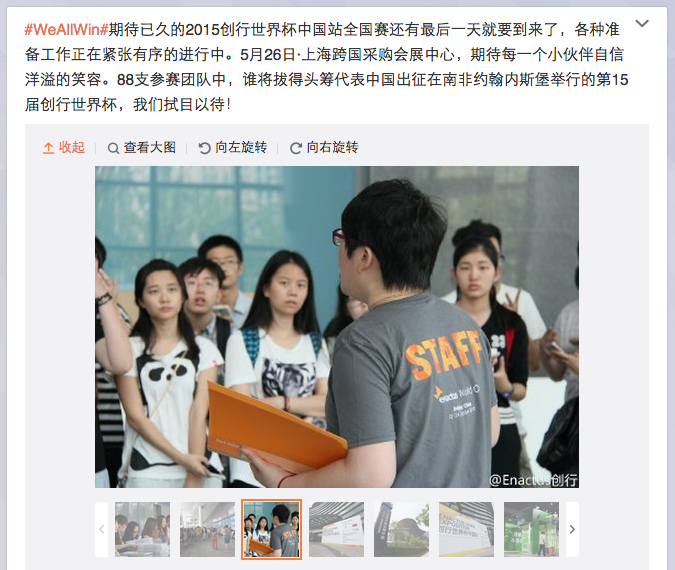 In the end, judges selected the team from Jinan University, whose Green Conversion project was especially impressive: the team connected farm owners, biological manufacturers and a local government bureau to work together to turn kitchen waste into organic fertilizer through the energy-saving process of earthworm composting technology. As result, this project has helped farm owners increase their income while offering a template for successful agricultural recycling, a model that will positively affect environment sustainability. 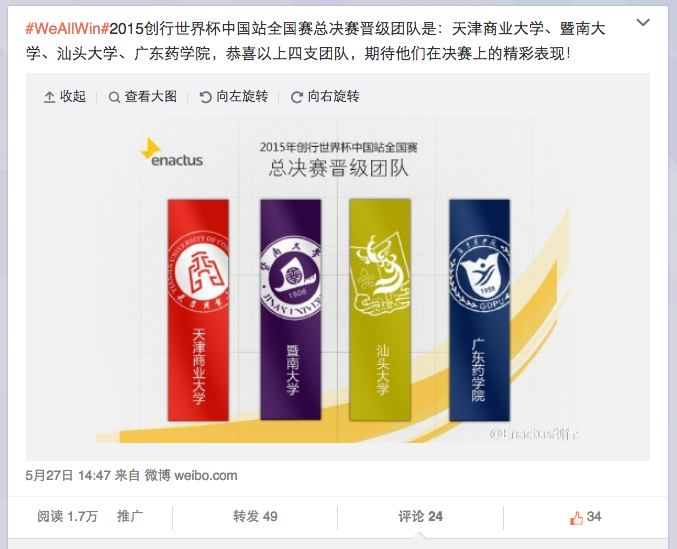 In addition to earning the right to represent China at the Enactus World Cup this October, three lucky students on the national champion team will also receive full-scholarship financial aid for further university study, thanks to a generous grant from Academic Strategic Partner, The Open University of Hong Kong Graduate School.